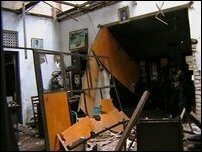 Four EPDP cadres were injured in a bomb explosion inside their office located along the Inner Harbour Road in front of the Trincomalee Harbour around 11:30 a.m. Saturday. One cadre was seriously wounded. The injured cadres were identified as Velayudam Raghunadan (38) Joseph Abraham (58) Gnanapragasam Pulogarajan (39) and Gnanapragasam Anthony Fernando (31). The office building sustained heavy damage, sources said. 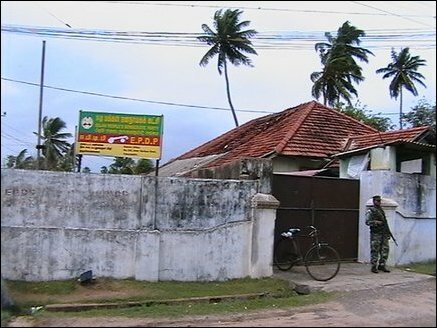 Trincomalee office of the Sri Lanka Monitoring Mission and the North East Provincial Council (NEPC) Governor's office are located near the EPDP office. 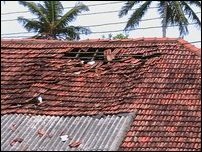 The Trincomalee Police is conducting investigations into the explosion.